Subways allow for an amazing proliferation of people throughout the city. Railways are part of the infrastructure that defines a culture as civilized. It recognizes that they have developed far enough industrially and economically to not only have need for such a thing, but the capability to construct these huge nodal linkages. One can enter into this wormhole on one side of the city and arrive on the other side in just a few minutes. The stop takes you within a few minute walk of wherever your destination may be. You can exist underground- you switch lines entirely underground, shop underground, eat underground, all on your commute. Emerge and submerge, never really knowing on what side of the ground plane you’re on. Time becomes irrelevant, and yet the only thing prevalent. 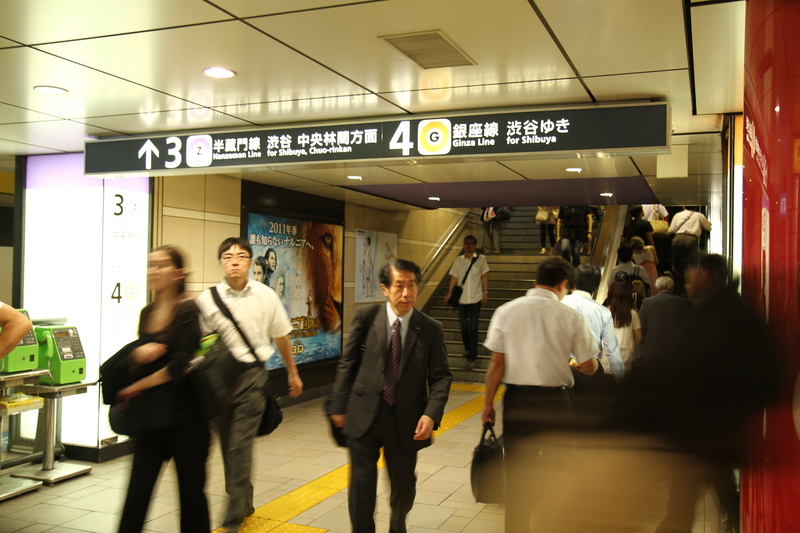 The perfect example of the utmost efficient subway system is in Tokyo. One never has to travel far to find a subway station, and the stop will take you to precisely where you want to go. The subways are incredibly clean. No one has to wait longer than a few minutes for a train to come, and it seems to always accommodate all its users. In cases when the subway is really full it still remains highly civilized. The front train care is always reserved for women only, so women would not feel uncomfortable being too closely packed to their stranger counter parts. Even as a foreigner to the Japanese subway system there are always information booths available more than willing to give you directions or help with whatever problem you have concerning your subway experience. For that matter, police booths exist at ground level, or ‘koban’, that can help direct you as well. Ultimately, this system goes beyond providing the needs it was constructed for. It creates a standard any city can only hope to live up to. While speeding under Shanghai, I ponder my nearly hour long route to ‘work’. More precisely how my commute breaks down to about 20 minutes of walking to the station, a 5 minute wait at the station, 15 minute train ride and finally a 15 minutes from the station to my place of work. If I go during ‘traffic hour’ I have to wait for a couple of trains to finally fit in one. If I wait for an off time I can hop on a train right away. Once inside the train I feel like a sardine. That’s when I start to wonder, when do demarcations of civilization cease to be civilized? – as someone’s elbow jams into my ribcage and the man rubbing against my frontloaded backpack burps loudly in the face of the woman smashed against him. At the particular stop I take, to switch lines I must go above ground and walk couple blocks to reach the transfer, then buy a new ticket as their systems are not yet connected. There is one main issue here: the subway does not meet the needs it was constructed for. That is when it stops being civilized, when it can’t meet the demands made on it. It is not efficient, or timely. This subway is not part of large spanning underworld, it is simply pieces of what it could be. 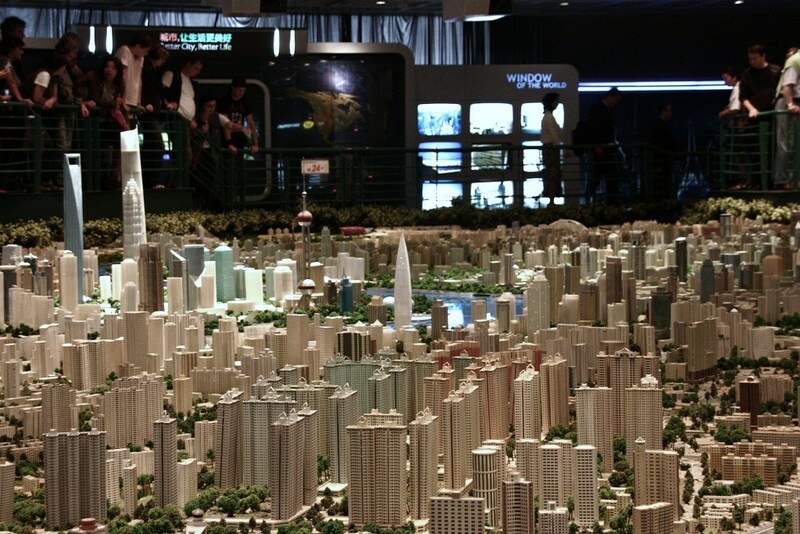 Shanghai’s subway system is scheduled to double by 2022. And it needs to, as of now the city is growing faster than the infrastructure that provides for it. It is only the city center that is well provided for by the subway system. People’s Park is incredibly easy to maneuver via subway. However on the current outskirts of the city there aren’t nearly enough stops or lines going to those far reaches of Shanghai. Once additional lines are built there hopefully will not be a problem with overcrowding a train car or lining up for the third subway to arrive. Shanghai is a huge sprawling city. For the area the system covers it does quite well. All of Tokyo only covers a fraction of the area Shanghai covers and furthermore has only been developing for a fraction of the time. The flight back to the states granted the time for reflection on what had just happened to me (and hopefully all of us) in the last four months. A journey like the one we just partook in has the ability to completely change one’s life, usually for the better. In my perspective, this experience has allowed me to gain a better perspective on myself, what I want to accomplish in my lifetime, and where I fit into the equation of the metropolis. At the beginning of the program, the readings we were assigned spoke about ideas and concepts of cities that we probably could not relate to just yet. I thought I understood what the readings were trying to convey back then, but now, looking back, I realize that there is no way I could have comprehended these readings as well as I have while simultaneously traveling throughout metropolises in Asia. As I reopened Simmel’s “The Metropolis and Mental Life,” I read the first sentence (quoted above) and instantly had a stronger stance on the reading. Prior to this trip, I would think that being an autonomous individual would be a positive characteristic, however, I quickly realized how preserving my autonomy while in a foreign culture would be extremely detrimental to my ability to gain a new perspective and ascertain an understanding of various cultures and cities for that matter. Being abroad offers something that is so far out of reach from a classroom’s offerings. Reading pieces like Simmel’s, Ibeling’s, and deCerteau in the comfort of my living room at school would not have had even the closest impact on me as they did while in Asia. Reading these articles and excerpts and then being able to look out of my hotel window into the city, walk the city, and be immersed in the culture is something that is of the utmost value…something that could never take place inside of a classroom. Architecture is a field that requires this kind of supplemental knowledge. Gaining a better understanding and perspective of architecture requires one to become aware of how this discipline affects people internationally (whether people realize it or not) and how simply by crossing the border to a neighboring country, these affects can morph into something unrelated, each carrying their own distin ct qualities. So, as Simmel points out, one of the biggest problems today is that we as individuals take too much interest in our own independence and persona that we forget (or lack the general interest) to look at the bigger picture…society, culture, architecture, history, as an international organism, rather than merely through the eyes of our own culture. There is so much that people miss out on every single day because they do not search for it. Knowledge is always surrounding us, it just has to be found. “Well, it’s probably going to be smelly, dirty, and gloomy”. Now, while I would say most of that is generally still true, I cannot doubt the fact that I am genuinely appalled and afraid of where China is and fast becoming in the global community. A plethora of high-speed rail developments, no shortage of planned economic zones, heavily invested by leading international businesses, epicenter of global events, and did I mention the growing population of 1.4 billion? If that’s not enough to strike fear in your adversaries, then I don’t know what will. But it’s not just China. Our initial drive through Japan, Korea, and Hong Kong provided a small (personally, I wish we spent MUCH more time there) glimpse into true “urbanism” as we call it. Layered densities both horizontal and vertical, hybridity of programmatic elements, successfully integration of infrastructural systems; all these are characteristics of what we saw, felt, experienced. In short, we experienced an everydayness that was foreign to us, and yet at the same time intriguing and exciting because, quite simply, it worked. But what does that all mean for us now, especially post-trip while we’re safely back within the completely different world of America? If anything, this trip has opened my eyes to the deficiencies that plague a stagnant America that is utterly stuck in its tracks. Of course, we do enjoy many freedoms unparalleled in most countries, but America is far from its glory days. If the 20th century was about America, then the 21st century is increasingly becoming about China. Friedman’s “From WikiChina” article, albeit humorous, provides an insightful look into perhaps how the world is continuing to view us. Friedman states, “ The Americans have replaced working to exceptional with talking about how exceptional they still are. They don’t seem to understand that you can’t declare yourself ‘exceptional’, only others can bestow that adjective upon you”. Ouch, but so true. I mean, what’s so exceptional about American infrastructure? We have 10 lane freeway expansion projects in LA that stretches for miles, but the only exceptional thing about that is perhaps the iconic smog generated from all the car traffic. 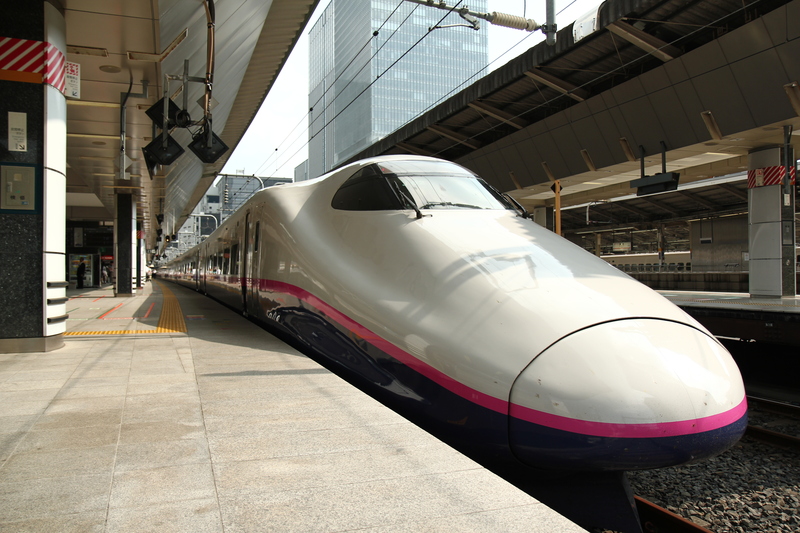 We can’t even agree to pass a bill to install a network of high speed rail transit systems that will even go over 90 miles per hour. 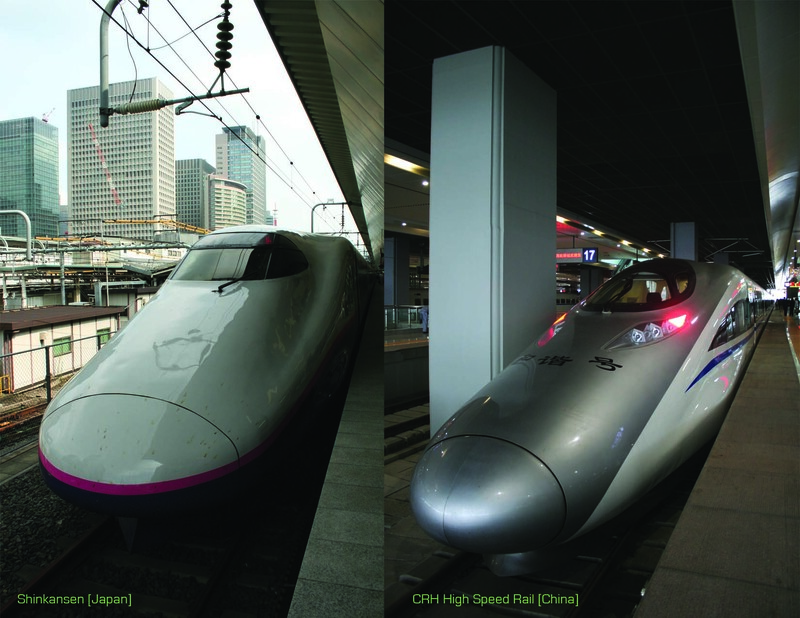 The realization of such an infrastructural revolution within America is a lesson that can be taken from Asia, where high speed is a necessity of most people’s transportation. Like cities such as Los Angeles, it’s becoming increasingly impossible to move from point A to point B without taking hours in traffic congestion. Also, the mobility of the individual becomes increased tremendously, allowing a greater opportunity for distributed intra-national economic growth. But no, industries that include airlines have lobbied hard against it in an effort to erase the competition; this along with many other political/economic factors have ubiquitously hindered any real change in our infrastructure. Friedman is right when he says, “…the Americans are polarized over all the wrong things”. We are often so entrenched in our ideological beliefs that we live in a black and white world. This is that, this is not and cannot be that. Lefebvre touches upon this “situation” as he calls it: “ A modern object clearly states what it is, its role and its place.” Americans often view society and place in the same manner: a mall is just a mall; a train station is where people get on and off a train, etc. But there’s so much more to that, the possibilities of experience and juxtaposition of program and space are endless and intriguing if only we operated in the grey area. Tokyo Midtown was not just an office building complex, it was a subway station, mall, hotel, private residences, outdoor park all interweaved and layered to create a different kind of urban environment that was continuously engaging the public at different levels. We saw, in Hong Kong, the IFC mall turned into an airport terminus with an express rail line that directly linked the airport to the subterranean level. The airport then became more than itself, it was a transportation hub and also a lifestyle center, complete with cultural amenities, retail shops, restaurants, cafes, etc; the phenomenon of “infratecture”. Lefebvre states: “Today we see a worldwide tendency to uniformity”. But beyond that, the tendency is also towards a sense of complacency. Complacency for how things are, how comfortable things can get. If given the same opportunity to see/experience the things I have in these last 15 weeks, there are people I know who would be unwilling, simply because their life back home is all too comfortable. Therein lies the greatest danger, and unfortunately America has become lost in its own complacency. If we do not stimulate ourselves with curiosity and intrigue, what good is replicating what has already been done before? How can we affect the world around us if all we know how to do and think is through mimicry? 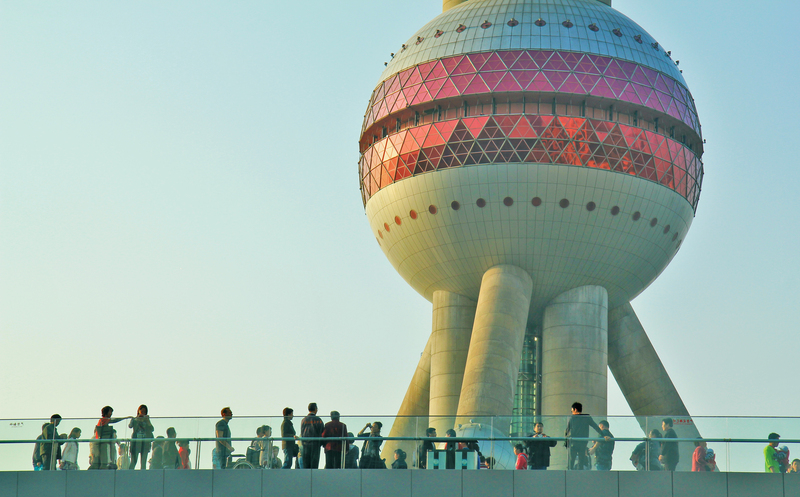 Asia, specifically China, is the new frontier, pioneering the world into the 21st century through technology, infrastructure, and most importantly urbanism. It’s about time America woke up from its dreams of what once was and realize we are losing the race in a world has long since moved on. After recently vising three Suzhou Gardens [Master of the Nets, Humble Administrator Garden, and the Lingering Garden], I noticed that they all follow the same concept of multiple points of view focused towards a particular item of interest. Although their sizes varied, all three created a wonderful narrative using nature that is supplemented by architecture. The Japanese and Korean gardens did have built forms that were in the gardens, but spatially served different purposes. I would argue that the surrounding clusters of rooms and courtyards in the Chinese scholar gardens have a similar level of spatial complexity as the gardens themselves. Consequently, the built form and landscape can be appreciated either together or separately. The Chinese gardens are manicured, but not to the extent of the Japanese gardens where everything is trained to be in a perfect position. Also,the scholar gardens have an item of focus, typically a lake, or a pavilion that can be seen from multiple angles. In contrast, Japanese gardens dictate particular paths and has one panoramic moment of reflection as the end of the garden blurs seamlessly into the natural backdrop behind it. Korean gardens are expansive forests of specific plantings and grow naturally, giving it an aura of unknown adventure. In contrast to both, Chinese gardens sequence these various frames and moments around the same object using winding paths, giving the garden a larger feel than it actually is. I spent most of my visit in the landscape portion of the compound, and coneqeuently, needed more time to look at the courtyard spaces surrounding the gardens. Each cluster of rooms is connected through a labrynth of pathways that surround the perimeter of the garden. The courtyards have a smaller planting or rock sculpture so the inhabitants inside can focus the views outdoors. After a few minutes of wandering, I forgot that the garden was right beyond the wall, and appreciated these smaller and more isolated spaces. In comparison to the Suzhou gardens, the Japanese ones utilized the built form as a mediation between interior and exterior [together], while the Korean gardens used the physical architecture as a place to enjoy the garden [separate] to the point where the landscape engulfed the actual garden. When proceeding from room to room in the scholar gardens, there is a constant compression and expansion of space. By reducing the ceiling height of the walkway that leads into the next courtyard, the release into the open space is accentuated. The same effect could not have been achieved if the spaces were all uniformly scaled. This contraction and expansion also contributes to a garden’s ingenious use and complex layering of space. Rather than using architecture to achieve the same effect, the Japanese and Korean gardens thickened the landscape around paths. The Chinese, Korean, and Japanese gardens evoke various of emotions with the use of space, architecture and nature. Regardless of these different reactions, all Asian gardens effectively mediate the tensions of the city with their introverted nature. They remove and transplant you into a completely new world of fantasy, adventure, and reflection. In Japan, the sequencing of the garden started right from the street scape, gradually removing me from the business of the city surrounding it. Rather than use physical walls, the Japanese used the landscape and vegetation to mediate this built density surrounding it. 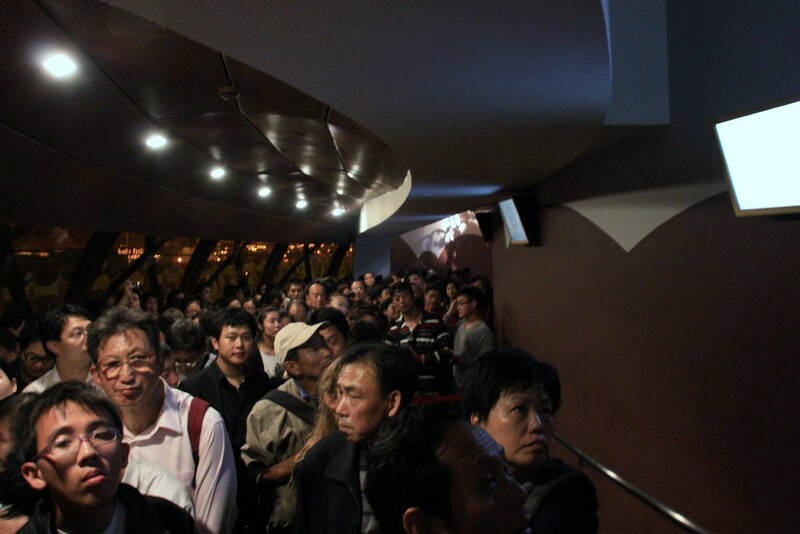 In Korea and China, there were physical manifestations of separation from the city. The entrance gates are grand enough to offset the city’s proximity to the garden. I was immediately transported away from the city with one step past these gates, which is a different than the Japanese method, yet just as effective in mediating the city. These small instances of relief from the largeness and stress of the city, make their relaxing and reflective qualities even grander. These objects and subjects that Lefebvre speaks of resemble the qualities of Chinese and Japanese gardens, respectively. Chinese gardens become objects that one interacts with, while Japanese gardens become subjects which interact with the user. Lefebvre writes of “structures, some of them natural and others constructed.” While both Chinese and Japanese gardens are essentially entirely manmade, they each have different characteristics and feelings. While Japanese gardens hold a sense of control over the user, Chinese gardens allow the user to meander freely. Yet, this sense of control and freedom does not present itself as one might assume. Both Chinese and Japanese gardens are constructed to appear as organic occurrences in nature. Japanese gardens are entirely fabricated by man. Each entity is meticulously placed on the site. 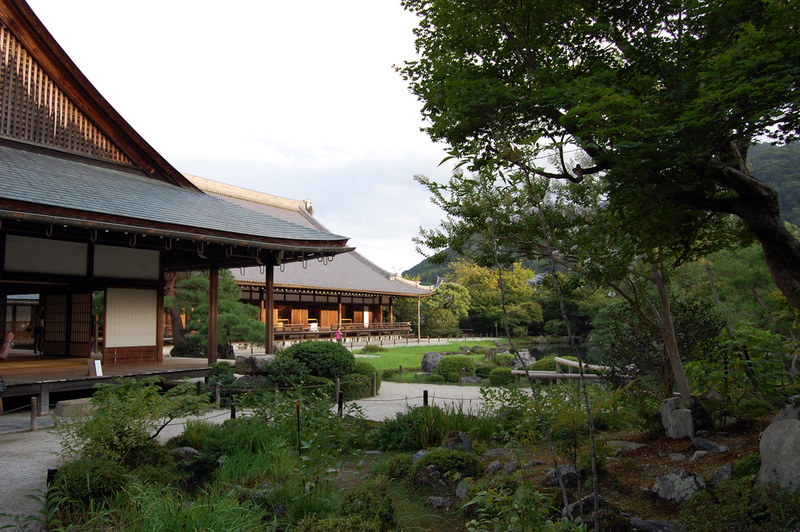 Although Japanese gardens are essentially completely a composed product, these gardens appear to be the most natural. While in the garden, one must follow a set pathway. Even though one is essentially not allowed to stray from this delineated path, it feels as if though one is able to meander through the garden because of the path’s execution. Chinese gardens feature an “organized passivity…it means passivity when faced with decisions in which the worker takes no part.” The worker, or user, meanders freely through the garden, and is at time not aware why they are on a certain path, or how they arrived there. There is no set pathway in Chinese gardens, and the user is given the option to meander, but it seems as if the pathway is set in stone and one cannot stray from it. 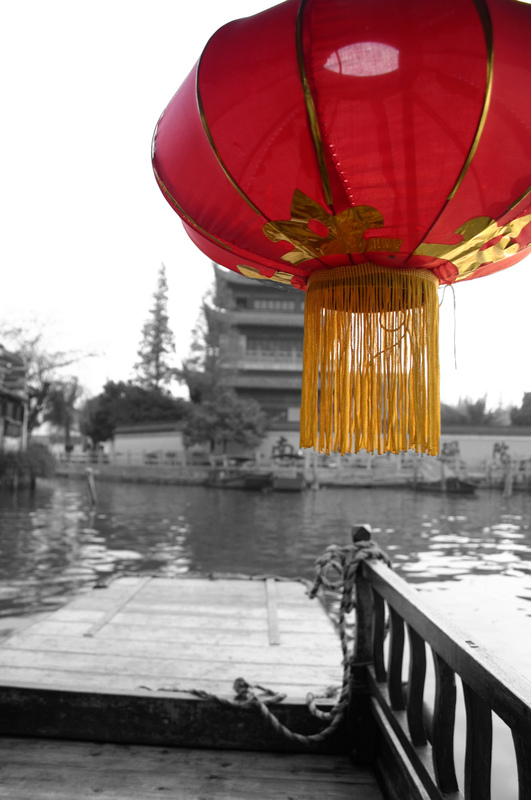 Although still manmade and planned out, Chinese gardens allow nature to take its course. However, even though nature is allowed to flow naturally through Chinese gardens, these gardens appear to be the most manmade and synthetic. The vastness of Chinese gardens give the user many choices. However, the user is slightly mislead in this sense of vastness. Lefebvre makes the point that “production produces change in such a way as to superimpose the impression of speed onto that of monotony.” The monotony within Chinese gardens is masked by the speed at which your surroundings appear to change. While moving from an artificial lake, to a bonsai garden, this slight change in environment allows one to feel as though they are moving through to a different space entirely, only to once again find that one is pushed o a different synthetic body of water, only this time in the form of a river. 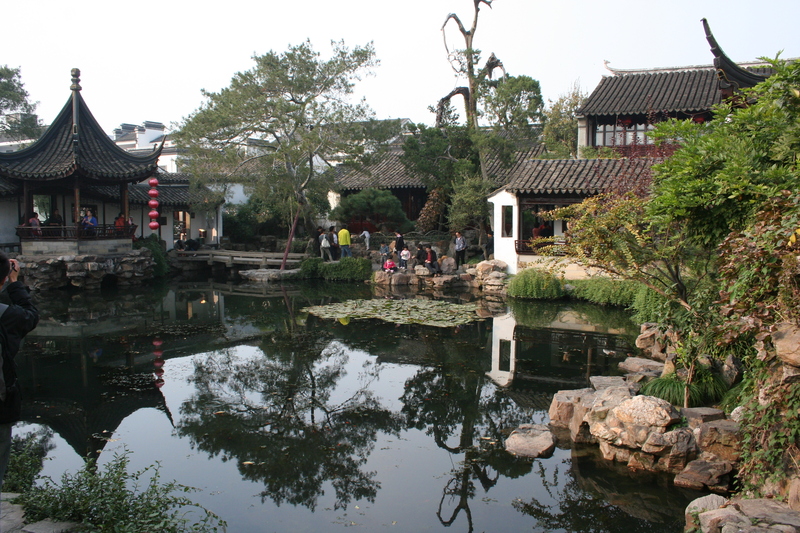 The small amount of nature which is allowed to prevail in Chinese gardens does not appear as organic, and instead, emerges with a manmade and faux appearance. While neither of the two garden typologies come anywhere close to a truly natural existence, Japanese gardens have the ability to appear as so. Where Chinese gardens fail at attaining a natural essence through a fabricated syntax, Japanese gardens succeed. It could be said that Sophia Coppola’s Lost in Translation could be filmed in any Eastern metropolis. The story line is simple; two strangers meet in a foreign city and through the mutual feeling of loneliness find comfort with each other. Easy right? But not quite true. Tokyo is as much as of a character as Bill Murray’s, Bob Harris and Scarlett Johansson’s, Charlotte. First off, let’s define protagonist: the main character (the central or primary personal figure) of a literary, theatrical, cinematic, or musical narrative, around whom the events of the narrative’s plot revolve around. In Lost in Translation, Tokyo is the protagonist. It is a city that knows itself and within its network of streets, signs, and buildings two people find themselves “lost.” Within each frame, the city has its presence, the emotions of the characters enhanced by their surroundings. The intrigue in Lost in Translation is not only the friction between Bob and Charlotte, but between them and Tokyo. There is a level of detachment that can be seen in every shot of Charlotte gazing out into the panoramic view of the city. There is a sense of isolation with the visual; the plane of glass becomes protection from the outside while being partial to the otherness looking in. Tokyo is presented to world as being global yet as soon as you touch down there is a strong local presence. You are cast into a medley of foreign signs and overwhelmed by the new. Pretty soon you begin to look for some sense of familiarity. That is usually reached at the hotel. 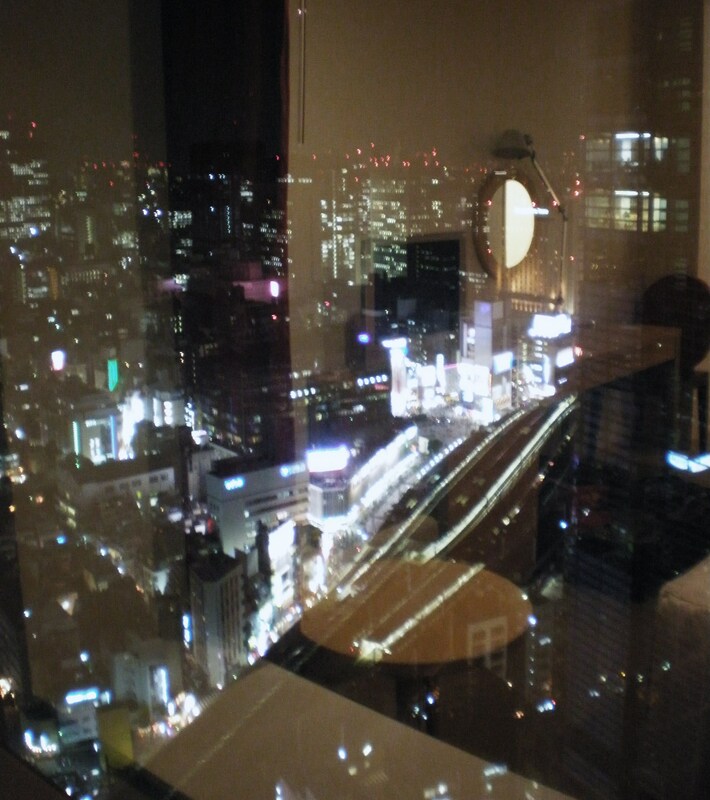 Once you arrive you take in your room, immediately heading to window to get one more glimpse of the new before you take in the comforts of “home.” Just as the window was a buffer between Tokyo and Charlotte, Park Hotel became the median point for us. But even within the confines of our room the city began to influence us. With its flashing lights, towers, and transit system we began to be taken over yet never embraced. There in lies the tension between Tokyo and the visitor. There always seems to be a sense of distance that you cannot breach. Of course not knowing the language effects this distance but after being in Korea, Hong Kong, and Shanghai, all dense cities where language is a factor, you realize there is something else going on in Tokyo. Tokyo’s personality can be described as cold, robotic, and relentless; a place where no one seems to “stop talking, walking, or existing.” You begin to wonder how you can stitch yourself into this fabric of pristine white shirts and seemingly choreographed movement. It is this frustration that adds to the intrigue of the city. You begin to venture out further to try and understand what makes the city tick. 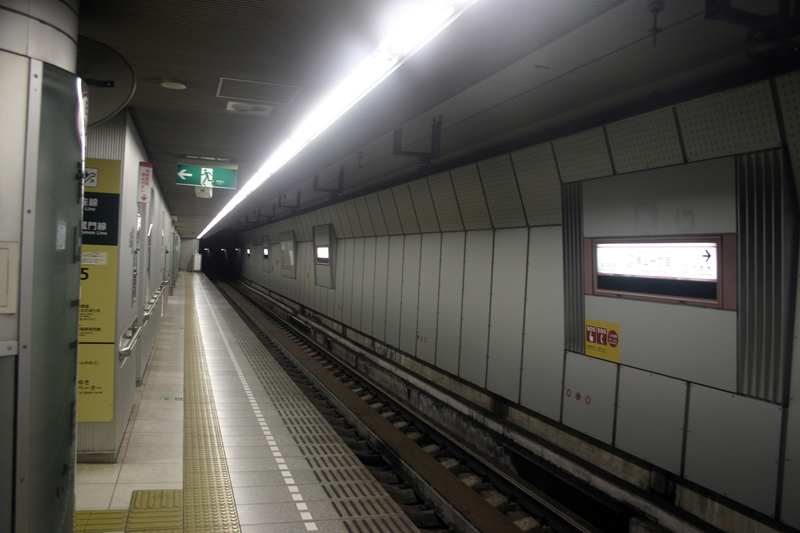 In the subways you begin to watch the mannerisms of the Japanese. Almost trying to disappear in the background and not interrupt the exchanges going around you, as if by existing you change the dynamic of the subway car. Tokyo asks you to not only join but to observe and understand. In order to do this you have to become “lost” within the fabric. You have to walk the streets of Shibuya and Ginza and not only shop but experience. You have to look the flashing lights, the bright neon signs as not only a given but a way of communicating. You have to take in the dense urban fabric and understand why. That is the hard part. It is not a city waiting in the wings. It is fast pace and moving. You have to jump in and seek and maybe, just maybe it will find you too.